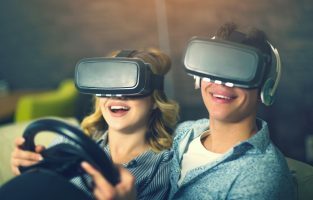 Virtual reality gaming is the wave of the future, and the Oculus Rift is one of the systems that is leading the way through this new type of gaming. This new type of experience is designed to open your eyes to a new gaming experience and make gaming feel most realistic, but gaming systems like the Oculus Rift are not cheap, so once you have your system, you are going to want to find the best Oculus Rift games to play so that you can get the most out of your purchase. Let’s take a look at some of our favorite games for the Oculus Rift. 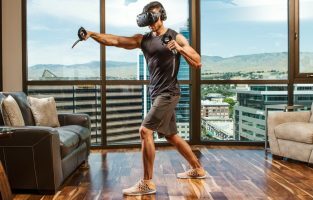 If you are looking for Oculus Rift games that are more of a one on one sport, then Sparc is a great option. It is a game where you and your opponent are facing off against each other in a long hallway. The dodgeball-like game is designed with three modes that you can enjoy. The first is Basic Brawl, which is played by hitting your opponent and scoring points. The second option, which is the advanced brawl, makes deflecting the glowing ball more difficult, but there is no time limit in this mode, so you win strictly by hitting your opponent. The experimental mode is designed to get you moving on the court, so you can use the walls to bounce the ball and hit your opponent. The Unspoken takes you into a world where mages and magic are real, but there can only be one mage at the top with the title of the most powerful mage in the world, and you plan to be that mage. With that goal in mind, you are going to need to go head to head with other mages in the world who are shooting for the top as well. You can choose different schools of magic, but no matter what you choose, you will be amazed by the vibrant magical graphics of the spells and the objects that you hurl at your competition. Arizona Sunshine is a look into a post-apocalyptic world in the hot, Arizona desert. A group of hungry undead is encroaching on your area, and you have to defend it to ensure your survival. You will need to find guns, ammo, and ways to stay alive as you hold off the horde of undead in this first-person shooter. Nothing is more immersive than being forced to use your mind and your shooting skills to survive and keep the undead from overrunning the only safe place that you have access to. Don’t forget that you are going to need to scavenge food and water as well to survive the intense Arizona sunshine. Chronos is an adventure game that puts you I the shoes of a young boy who must enter a magical labyrinth to defeat the evil that lies within. You will fight the creatures in the labyrinth with a sword and a shield, but if you fail or die before the dragon is defeated, you will be ejected from the labyrinth until the crystal that opens the way to the labyrinth appears again the next year. Since the crystal only appears once a year, you will spend that time training; when you enter the labyrinth again, you will be older and wiser, but with age, you may also be slower than you were as a youth. Keep Talking and Nobody Explodes is a game that is designed to be played with a group of friends. One person will have the VR headset on and they will walk into a room with a bomb that they are going to need to diffuse. The others will have the manual and the key to defusing the bomb, but they have no clue what type of bomb it is or how to diffuse it until you describe it to them. If they tell you how to diffuse the bomb properly, the timer will stop; if not, it’s game over for you all. The key to success is communication, so make sure that you keep talking. This fully immersive game brings fans of the series and others to the bridge of the U.S.S Aegis as one of the crew members on the maiden voyage. You can choose to captain the ship, be the chief engineer, or experience one of the other important roles on the bridge, but the key to this immersive game is that you must work together to complete the Starfleet missions that are set before you. These missions can be experienced with others who are in the room with you, or the crew can be online players who have been assigned to your ship. If multiplayer is not a possibility, then there are also missions that you can embark on that are generated by a crew already in place. Do you like racing at high speed while listening to loud music thumping in your speakers? Thumper is a racing game that gives you that experience. You will be riding in a metallic spaceship along a track that is glowing in the darkness of space. The energy from the track is electrifying and at some points, the bright red arcs of light can even become terrifying as you race past them. The colors are vibrant, the music is great, and the driving experience is immersive and great for anyone who needs to relieve a bit of stress. Rec Room is a virtual gaming experience that puts you in a space where you can communicate with other players. There are minigames that you can enjoy in the room, but the main goal is to find a squad of individuals that you can team up with to enter a game room and take on another team of players. You can choose from games like paintball, giant soccer, disc golf, and even quests that have you fighting with a sword and board. No matter which games you enjoy the key to success if finding a team that you can work well with. There are also private gaming areas where you and your friends can simply chat as you enjoy a few minigames. Space Pirate Trainer is a fighting game that puts you on a platform in space where you are being attacked by waves and waves of enemy ships. You will have to fight them off so that you can reach your ship and survive the encounter. There is epic music playing as you battle the ships that are shooting you, and there are lots of bright lasers and lights to make you nostalgic for old arcade games like Galaga. Since you will be fighting off the enemy, you will find that this game is best when you are standing up, which gives you the chance to defend yourself with a shield and spin on the platform to face new challenges. Super Hot VR is a first-person shooter that takes place in a simulation where the enemies only move when you do. Everything that you encounter is going to be white, but the enemies will be blood red, which makes them a target that is easy to hit. This is the perfect game to train your fighting skills because you will never run out of enemies or bullets, so plan a course of attack and follow through. There is not really a defined objective to the game, but it is a great way to relieve stress and work on your survival skills. Lone Echo is a game that is designed as a single-player adventure. You start in space with an A.I. guiding you through the encounters and the story in space. As you move, you will feel like you are really in space without gravity holding you down. The game is all about the exploration of space, and though this game does not have a multiplayer experience, the game called Echo Arena offers a similar zero-gravity experience where you can play with your friends. If you are a fan of Rick and Morty, then you are going to want to check out Rick and Morty: Virtual Rick-ality. This game is full of laughter and hilarity as Rick and Morty adventure together. You will play the part of a Morty clone, and as with the show, nothing ever turns out as planned, which creates a world of chaos that is even more fun to explore. When Rick and Morty are involved, you never know what is going to happen, and now that you are playing as a Morty clone, you can experience the adventure for yourself. Robo Recall is an action shooter that is designed to put you right in the middle of the action. You will be fighting robots, but you will be able to toss them into the air, shoot them, and then teleport to a higher vantage point to finish them off. The goal is to kill as many robots as possible in this points-based arcade shooter, but it is also a game that you can play for a few minutes to release a bit of steam if you need. You can use the controllers to destroy the oncoming robots any way that you want, but make sure that you are ready for the next wave of robots as soon as you finish them off. Elite Dangerous is an online game that puts you in the shoes of a smuggler who is exploring space and looking for bounties and other ways to make some money. As you pilot the ship, you will be able to explore myriads of planets while trying to find mining sources and resources that you can trade with others in the galaxies. Exploration will not be easy; fighting will be necessary, but with ship upgrades and knowledge of the area, you will have an amazing adventure. If you would sooner not play online, there is a single player mode that you can try out as well. Landfall is a real-time strategy game that is designed to put you in the thick of things and make you find a way to complete your mission. There are single player missions that are a lot of fun, but if you want to feel like you are experiencing real combat, then you will want to try out the multiplayer options that give you a team to work with. There are several combat weapons to choose from, and not every option is going to be the best one for the mission at hand, so you will want to take a close look at the situation to come up with a strategy that will provide your team with a winning situation. Rock Band VR is a great gaming experience for anyone who enjoyed Rock Band and Guitar Hero. With this virtual experience, you will be able to rock out on a virtual stage with all of your band members in front of a live audience. You will be heckled if you are doing badly, but if you are able to rock the guitar, your fans will love you, and you will feel like a real rock star. If you are playing alone, then the band will be put into the game for you so that you never have to win the crowd over by yourself. The Oculus Rift is a virtual reality headset that began as a Kickstarter idea a few years ago. 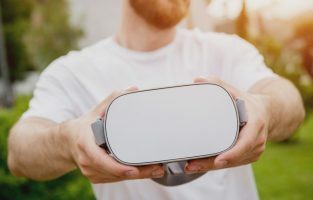 This virtual reality headset is actually the first of its kind, and it was designed to eliminate motion sickness and make virtual reality more accessible to gamers who want a fully immersive experience in their home. While you are gaming with the Oculus Rift, any movement that you make in real life with your hands and head will be transferred to your in-game avatar. In fact, the motion tracking is so advanced that when you glance behind you while you’re playing to see if anything is behind you, it will be seen in the game. The gameplay will feel like any other game that you have played, except you are going to feel like you are actually in the world that you are exploring. You will be able to pick up clues on the floor, hide behind a bush while you are sneaking up on the enemy, and even grip the steering wheel as you drive. The headgear is designed to take the on-screen image and fill your field of view so that you feel like you are in the world that you are playing in. When you move your head, the images that you see will shift as well. The Oculus Rift can be controlled with traditional Xbox controllers, but for a fully immersive experience, you are going to want to try out the Oculus Touch motion controllers. These controllers have a joystick and face buttons, but they are also designed to detect any hand movement that you make. This allows you to stand up and move around while you are playing the game, which makes the game seem even more immersive. Since the space in your gaming or living room may be limited, there is also a guardian system on the controls that allows you to set a perimeter so that you do not walk too far while you are playing and get hurt. When you are getting too close to the perimeter that you set, the controllers will warn you that you are running out of space. If you do not want to stand as you play, there are also games that you can enjoy while sitting down. Since the Oculus Rift is becoming the next big thing in the gaming world, developers are working to make sure that their games have a presence on the platform. There are first-person shooters, racing games, sports games, adventure games, and role-playing games that you can enjoy. The Oculus Rift can be used for much more than gaming; in fact, if you are looking for a 360-degree desktop experience, this system can provide you with a large, multiple screen experience that you can use to enhance your workstation. 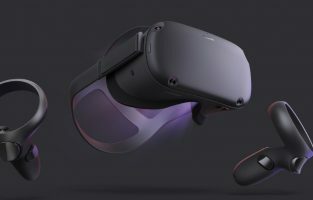 To operate the Oculus Rift, you are going to need to have a computer that is powerful enough to run the system without slowdown. It is recommended that the graphics card is at least the quality of an NVIDIA GTX 1060 and that the system has at least 8 GB of RAM. The controllers have a wireless design, but each one will need one AA battery to be able to function. In this guide, we have recommended some of the best Oculus Rift games that are available on the market. The list of great games for this system is growing quickly, so if we forgot to include any Oculus Rift games that are worth playing, let us know in the comments below.